There are loads of downsides to a long car trip, especially when there’s heavy traffic and annoying roadworks. There are many boring hours to kill especially if you’re travelling on the motorway. There are a few devices that can help make long journeys easier, and more entertaining. Many travellers like to spend on varied gadgets that can make the journey more pleasant and fun. This is an example of how technologically driven we have become in recent times. The demand for home gadgets has increased greatly too, with an emphasis on home automation. This is why Crestron UK installers have been so in-demand. You can take your favorite things and accessories with you during your road trips. Nowadays you can have a range of information and entertainment options just by being connected to the internet. Now if you need a basic model GPS for your car then look no further than the Garmin Nuvi – it’s a well trusted brand for in-car GPS. The 5in display shows your driving speed, overall speed limits and the lane-assist function with junction view helps you to get in the right lane. The device is also loaded up with extra maps for a better view of your destination. Saris Bones is a simple, rear-mounted bike rack that is available in a range of colours. This rack can fit on most vehicles, can fit a few bikes on and includes integrated ratchet straps. Additionally, the rack has an arc-based design that separates bikes on different levels keeping them secured and safe on any journey. So, if you’re going on a mountain biking trip this is an essential. This is a simple bicycle navigation device that can track of your riding performance. This also works like a GPS for your bike as well as car-navigation mode for turn-by-turn directions to the nearest point of the route. It also includes maps for western Europe, making it perfect for summer touring. This Powerbox is designed for road trips and used as a chest-style cooler or fridge. It can be connected to the car battery and includes a 36l capacity. It can store three 1.5l bottles vertically too. This is handy for storing some refreshments when going for camping or road trips. Pop a couple of bottles of champagne in there and you’re away! With multiple devices being used nowadays, having a portable charger or a travel adaptor is important. I keep one in my car’s cigarette lighter at all times! It is not a glamorous piece of kit, but useful enough when you are planning trips to different places. This adaptor features twin USB sockets that can rev up the juice of your gadgets anytime. You may not call it a ‘road trip’ gadget, but alternatively, you may want to install something like a home security camera in your home so that you can monitor any activity at your property while you’re away. 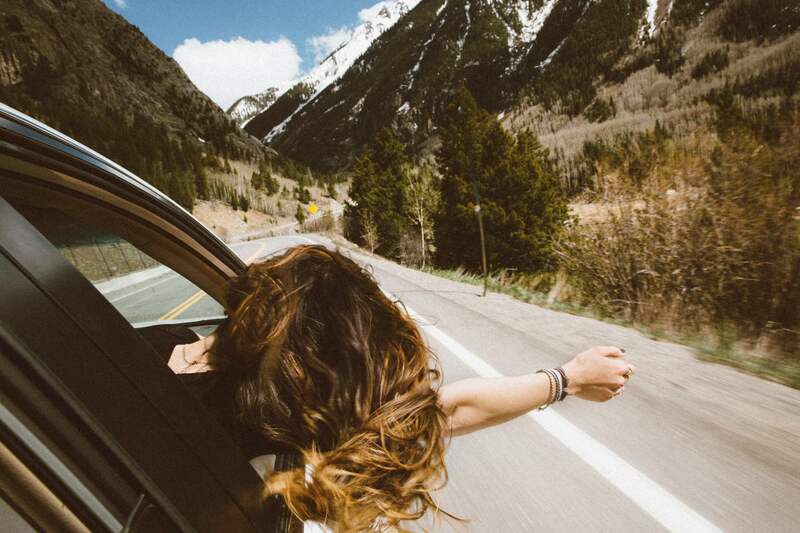 What road trip gadgets can’t you live without? Let me know in the comments!